PNP PRO8 IS NOW ACCEPTING ONLINE APPLICATION FOR POLICE OFFICER 1 APPLICANTS! FROM THE DESK OF OUR BELOVED REGIONAL DIRECTOR, CONGRATULATIONS EVERYONE FOR A JOB WELL DONE FOR THE PEACEFUL AND ORDERLY BARANGAY AND SK ELECTIONS! TO GOD BE THE GLORY! Police Regional Office 8 condemns vote buying! YOU CAN BE IMPRISONED! 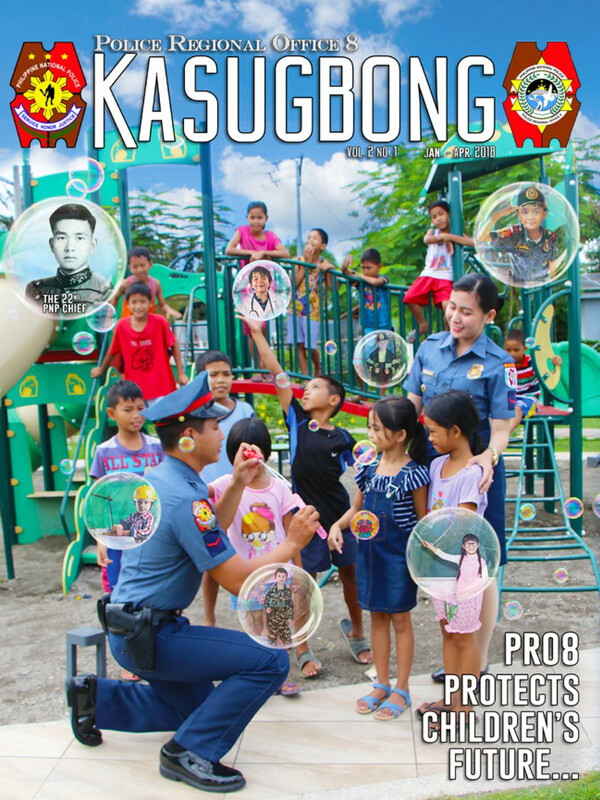 PANAWAGAN SA PUBLIKO! PAHIBARO HA PUBLIKO! SUSPEK SA MASAKER SA BRGY. CAUGBUSAN, GANDARA, SAMAR NAHULI NA! GRAB THIS LIFE-CHANGING OPPORTUNITY NOW! MINSAN LANG PO ITO, TARA NA’T TULUYANG MAMUHAY NG PRODUKTIBO! FIRST COME, FIRST SERVE! MASS OATH TAKING, DONNING AND PINNING OF RANKS CEREMONIES. PCSUPT BENJAMIN TOMAS HULIPAS, Deputy Director, DIPO- Southern Luzon leads the Proficiency Evaluation Process on Integrated Transformation Program-Performance Governance System of Police Regional Office 8 on from May 22-26, 2017. Mr. Dalmacio C. Grafil, of the Regional Advisory Council was also present in the Evaluation Process. PCSUPT ROBERT BADIAN, OIC, PRO8 welcomes PCSUPT HULIPAS and party. Medalya ng Kagalingan is awarded to SPO1 Zello Veloso and elements of RAIDSOTG 8 Liloan, MPS, SLPPO for their meritorious and invaluable performance of duty during the conduct of buy-bust operation on September 22, 2016 at Sitio Duwangan, Brgy. Poblacion, Liloan, Southern Leyte which resulted in the neutralization of Vicros A Asuque, Number 2 Sibat Target in Liloan MPS, Southern Leyte.